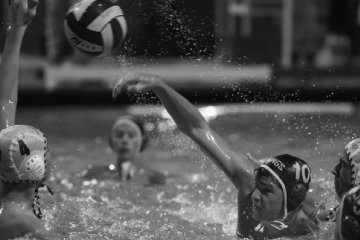 The regular season for girls water polo is coming to an end, and with that comes the SCVAL (Santa Clara Valley Athletic League) tournament, and the CCS (Central Coast Section) tournament. Palo Alto High School’s girls water polo team, who have had their ups and downs this season, believe they can finish strong, and qualify for CCS. 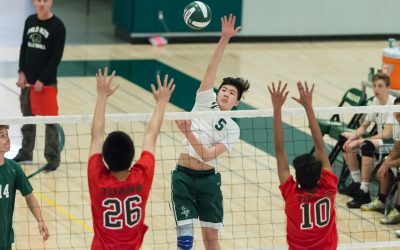 “For the rest of the season, our goal is to win three more games in order to qualify [for] CCS, which is definitely within reach,” said senior captain Hollie Chiao. Although the girls are 2-7 in league play, they have had impressive performances in various tournaments. Earlier in the season, the girls won a tournament in Aptos for the second time in three years of participation. The team has a winning record of 6-5 in games against teams outside of SCVAL. However, in their league, they have not had as good of luck. After a four-game losing streak, they played impressively well against Saratoga High School on Sept. 10, winning with a score of 10-4. This was the second time this season that the girls annihilated Saratoga. The unpleasant air quality from northern wildfires has forced the girls out of the pool and into the new Peery Center, impeding their progress. As a result of smoke, the game against Homestead scheduled for Oct. 12 was postponed. The season finished on yesterday against Mountain View High School.